We love to swim, and particularly love pools that have specific features designed for children. 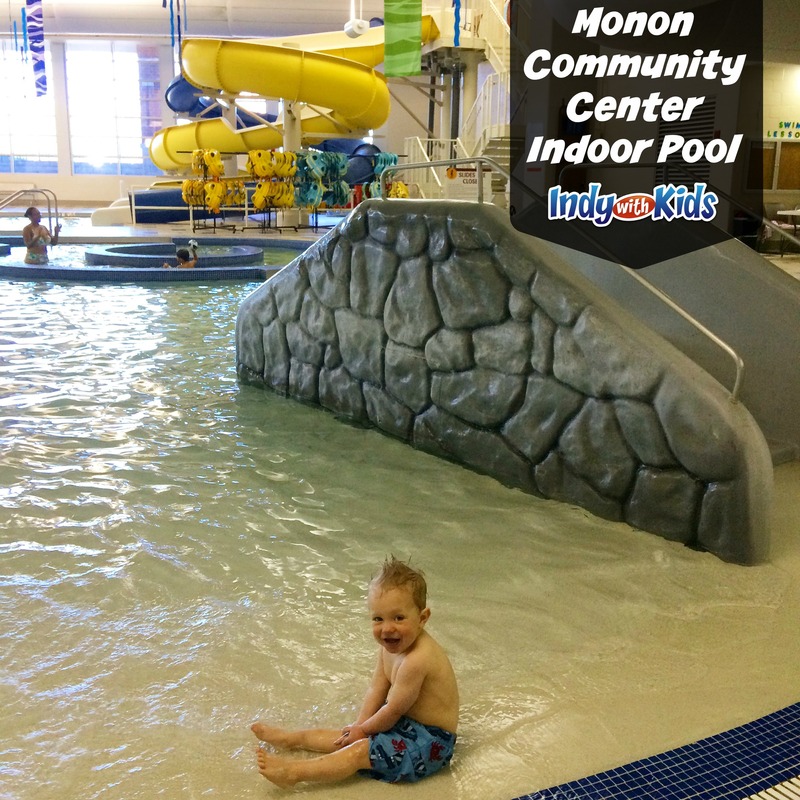 The indoor pool at the Monon Community Center is perfect for children of a variety of ages all the way up to adulthood. The zero-depth entry of the activity pool is a great feature for my two children. It allows my toddler to safely enter, explore, and exit the pool on his own, while acclimating my apprehensive 3 year old to the water. There are several spraying water features, fountains, and a bucket that will dump water. Our favorite, by far was the small kiddie slide! My youngest went down the slide no fewer than 500 times in the course of an hour! The depth of the pool doesn’t get much deeper than 4 feet, and that depth is closest to the exit of the two large water slides. 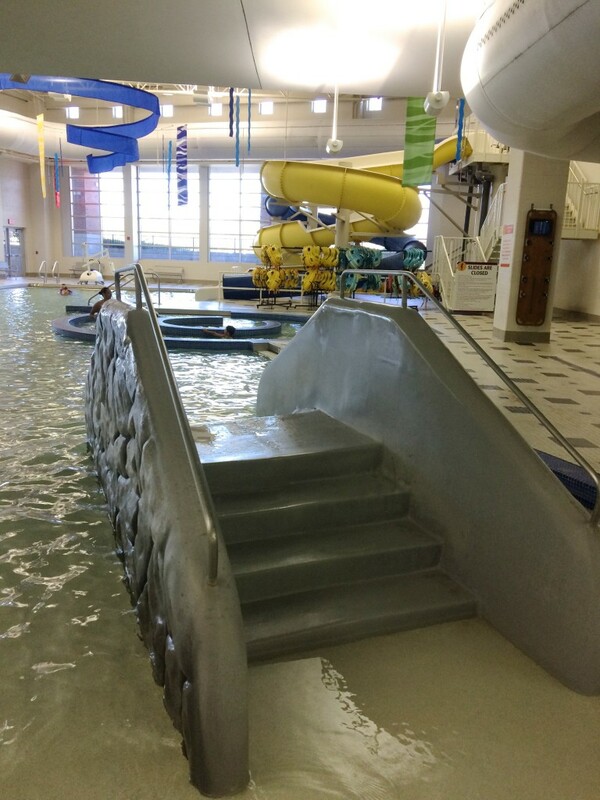 For older kids there are two impressive water slides! Check the hours, though, as they are not always open. In addition to the activity pool, there’s also a lap pool, several party rooms, and a snack bar (open in the evenings during the week and most of the day on the weekends). Any extended hours for the larger slides during spring break? Please check with the Monon Community Center directly.